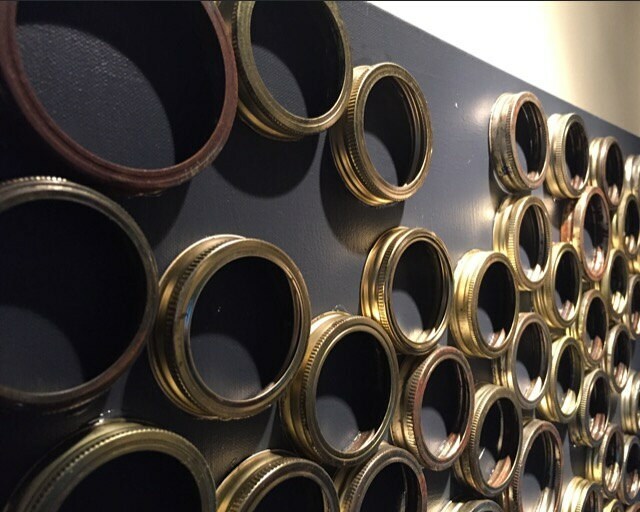 Found objects and acrylic paint give this artwork a structural element. 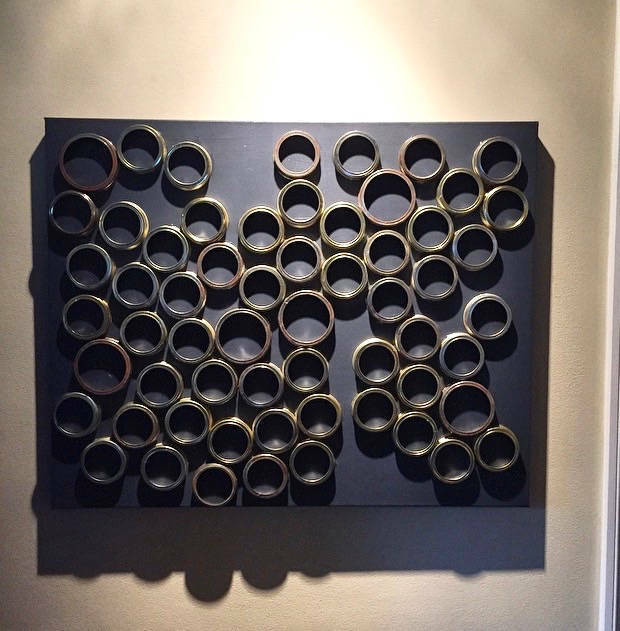 Metallic, metal circles raised up on this heavy stretched canvas painted with dark grey acrylic. A collaboration of pieces bought in East Hampton, NY and assembled in Los Angeles, CA.